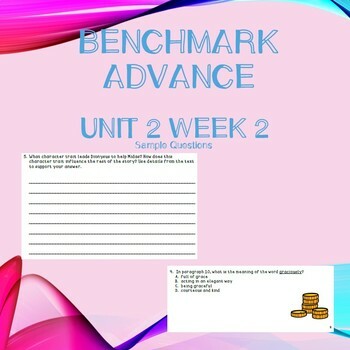 The comprehension questions follow along the Benchmark Universe Curriculum (Benchmark Advanced) for third grade. 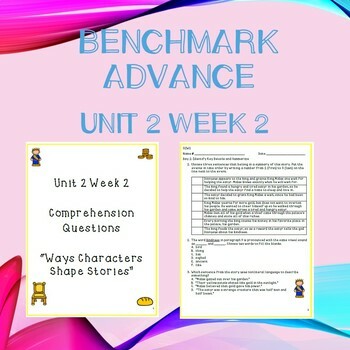 This week's questions focus on three skills aligned to the teacher's edition for the second week of unit 2. The skills practiced are: identify key events and summarize, character traits influence story, and compare and contrast. 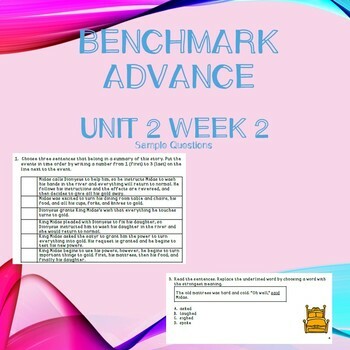 There are also questions about the phonics skill for the week and vocabulary skills. 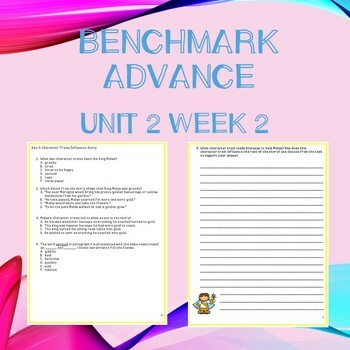 The questions created match the Benchmark Universe assessments for third grade. There are also short response questions to help students practice finding text evidence to support their answer. I have included an answer key at the end of the document that includes examples of the short responses.